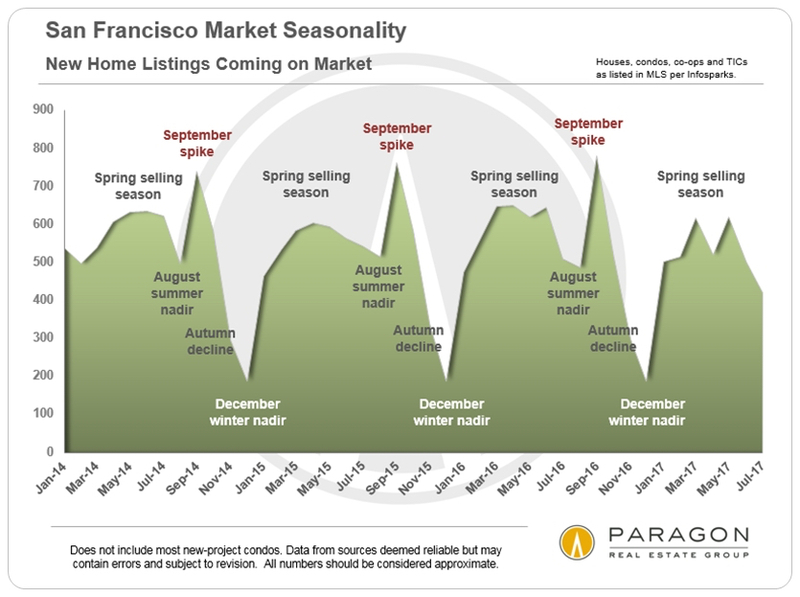 This chart is shorter-term and illustrates new listings only: the seasonal spikes up and down are much easier to see. September is typically the biggest new listing month of the year. Labor Day is early this year, so that might increase the September spike.